As you can imagine, teaching what we referred to as “last stop English” to high school students who read and wrote well below grade level was challenging for everyone involved. Beyond the basic mistrust my students felt for a first-year teacher who clearly was in over her head was a deeper issue: It was clear watching my students in their daily interactions that they were not connected to their reading and writing. So one day, I gathered my students close to me and told them I wanted to tell them the story of how I first fell in love. Amid the snickers and eye rolls, I wove the tale of first grade, when I had to stay home from school for three weeks while I recovered from pneumonia. At first I was too sick to care, but then really sick turned into sort of sick, and six year-old Mrs. Gaffney got really, really bored. That’s when my father introduced me to my first love, Mark Twain. Every night before I went to bed, my father pulled out his old copy of The Complete Short Stories of Mark Twain and read me “The Story of the Good Little Boy” and “The Story of the Bad Little Boy.” We’d laugh and laugh about the misadventures of these two characters, and every night I would hear something new in Twain’s words I hadn’t noticed the night before. I told my students that my experience with Twain at age six was the first time I realized reading really was a relationship. It was more than a way to forget I was trapped in my house; during that time, reading became my friend. It also became a way for me to connect with my father in a way I have not forgotten. 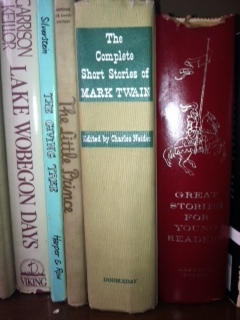 From under my chair, I then brought out The Complete Short Stories of Mark Twain for my students, inviting them to run their fingers along the yellowed pages and even suggesting they smell the spine. As they passed it from person to person, it was one of the only times during my first year I can remember absolute silence in the room. Of course, the moment ended, and it was back to business as usual in class. But I’d like to think that maybe, just for a moment, some of my reluctant students glimpsed the power of what reading actually does for people. In the United States there are 32 million adults who can’t read, a number that seems small considering there are 774 million adults who can’t read worldwide. Two-thirds of that 774 million are women, a statistic that breaks my heart every time I think about what this lack of literacy indicates about their lives, and the lives of their children. Literacy means something. It gives you opportunities you didn’t know you had; it connects you with people you might not otherwise connect with. And in my case, it gave me a lifelong friend in Mark Twain. 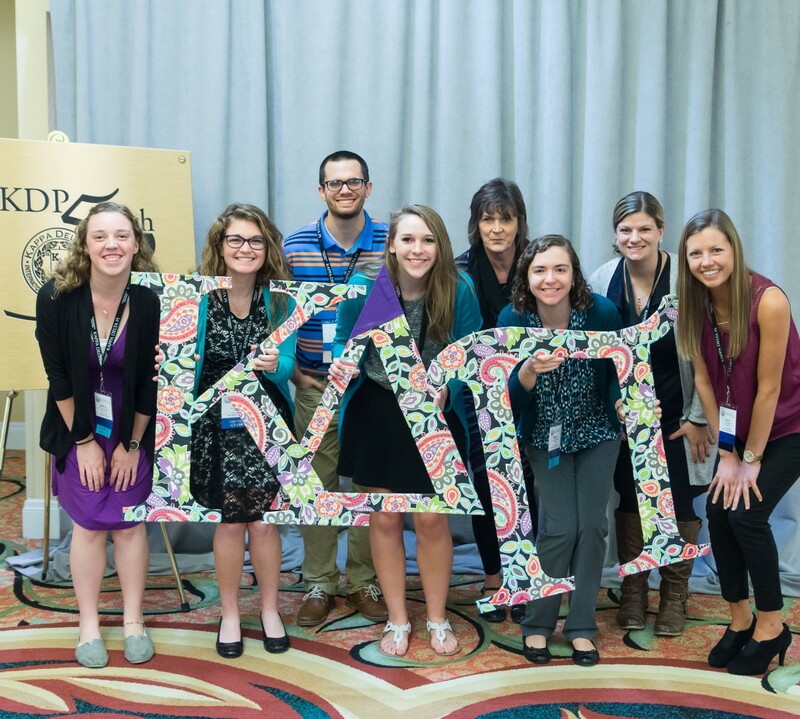 That’s one of the reasons Literacy Alive is the signature service project of Kappa Delta Pi. As an organization, KDP understands that as long as students aren’t invested in what they’re reading, everyone loses out. Literacy Alive projects are designed to connect students to books, their immediate communities, and the global community, and they place importance on what matters most as we examine literacy from a universal perspective: getting books in the hands of all children. On International Literacy Day, I would like teachers to think about when they first fell in love with a book or a character. When did you know that reading was more than a skill to be learned? And what will you do to bring Literacy Alive in your classrooms?